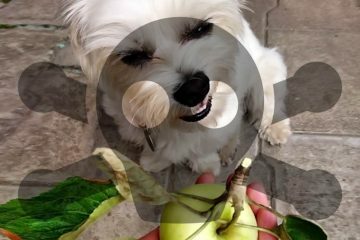 They say an apple a day keeps the doctor away, but it’s also possible they can give you cyanide poisoning, for real! 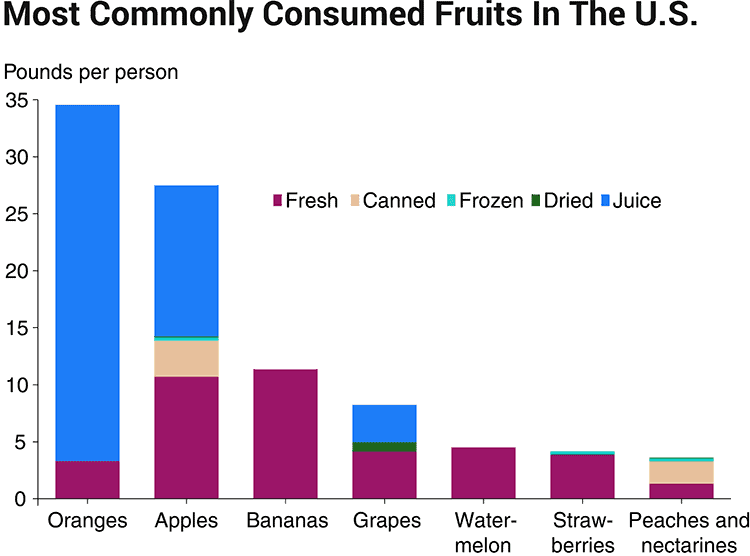 What is the most popular fresh fruit eaten in America? That honor goes to bananas, but just barely. In a solid 2nd place are apples and they actually beat bananas if you include apple juice (1). Being that they’re such a popular choice, you would think people would know more about what’s in them. 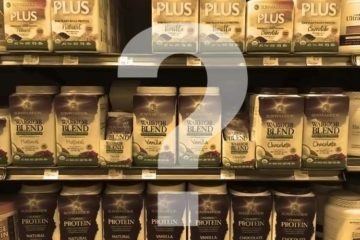 A good chunk of the population is aware they don’t have protein, but few know about their cyanide content! Before we talk about why apple seeds are poisonous (and what safety precautions you should take), let’s talk about their benefits which are good for you. They have more antioxidants than most people are aware of. Since our country produces a large crop of them, it means they’re one of the most affordable sources. 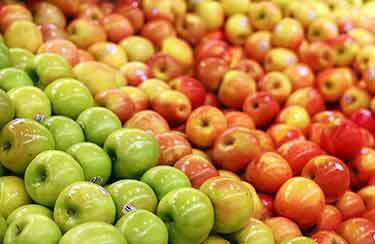 The ORAC value – which measures the total antioxidant content – is 3,049 for apples with their skin intact. If you compare an equal weight of fresh blueberries, those are 4,669. Organic apples might run you $2.99/pound. A standard 4.4 ounce clamshell of organic blueberries will probably cost you $5.99 most of the year… that equals $21.78 per pound! Blueberries have 50% higher antioxidants by weight, but they cost about 600% more! Your average medium apple with skin has 4.4 grams of total dietary fiber. That number is chopped in half – down to 2.1 grams – if you remove the skin, which is yet one more reason not to. Unlike the carbs you’d find in a can of Coke or slice of white bread, the very high fiber content of apples means those sugars are released slow over time. You don’t get a sugar crash, instead you get sustained energy. Ever since the Atkin’s diet fad at the turn of the century, carbs have gotten a bad reputation when they really shouldn’t. Yeah, in excess they are bad for you. But the same can be said for just about any nutrient. Even on a lower carb, higher protein diet, it’s still recommended that you get 45% of your calories coming from carbs (normally, up to 65% from them). That’s according to the Office of Disease Prevention and Health Promotion (2). It’s our biggest source of energy, so you’re going to need at least 130 grams per day if you’re a grown adult, more if you’re athletic and work out. How many carbs are in an apple without the skin? 20.5 grams in a medium-sized (3″ diameter) apple (3). With the skin it’s only a little more – 25.1 gram average for all varieties. So either way, you’re getting less than 20% of your daily minimum for carbohydrates. If you want even lower, the same size for granny smith is 22.7 and for gala, it’s 23.5. Red delicious and fuji are the highest at 29.8 and 29.2, respectively. Honeycrisp, pink lady, braeburn, and sweetango aren’t in the USDA nutrient database. If you’re tempted to remove the skin to reduce carbs, don’t! Why? A significant amount of antioxidants are in that skin. When you remove it, that nutritional value goes away. How many net carbs are in an apple with skin? Only 15.8 grams, according to Atkin’s website. They list a half apple as being in the “acceptable foods” category with 7.9 grams net carbs (4). Though you should be aware that net carbs is marketing lingo and is not an official thing you will find on a nutrition facts label. The calculation for net carbs is highly debated and not recognized by the USDA. Whether having low/no protein really qualifies as “bad” is debatable. 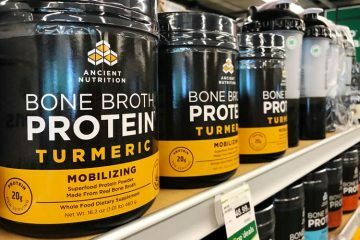 It’s only been in recent history where food marketing has focused on everything needing to be high protein. 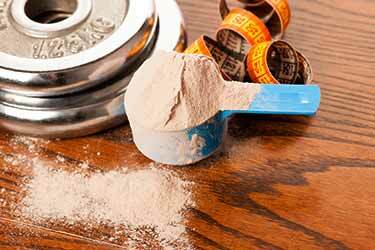 Due to the association of protein with muscles and fitness, it seems many people delude themselves into thinking that a protein shake or bar will give them bulging arms and 6-pack abs. Clearly that isn’t working, given that during the past couple decades we’re eating more protein, yet becoming fatter versus fitter. In reality high amounts are a sham. Why? 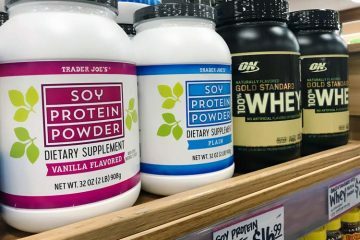 Because studies actually suggest Americans are eating too much protein (5). As with any form of energy, if you take in more than your body needs, it just gets converted to fat stored on your body. According to Harvard Medical School, the more animal protein you take in the higher risk you are for kidney stones. Sources of protein like dairy, eggs, meat and fish raise your uric acid levels and will reduce levels of citrate… both bad side effects that contribute to kidney stone formation. They even go so far as to say your daily portion of animal meat should be “no bigger than a pack of playing cards” (7). The more protein you eat, the more nitrogen you take in. The problem is that your kidneys have to work on overdrive to process and excrete it all through your urine. Those who have kidney disease are advised to eat a low protein diet because of that (8). Not only does the fresh fruit hardly contain any, but you won’t find protein in applesauce or apple pie either! Assuming you lay off the added sugar, butter, and other naughty stuff, this makes apples – whether fresh or in another form – a perfect snack or dessert for those who have or are more prone to kidney disease. Contrast that to dairy-based desserts like ice cream and milkshakes, which will contain more. We already told you in the title they don’t contain any, but almost every food has at least a tiny bit. So exactly how much protein is in an apple? 0.47 grams per medium apple with skin, according to the USDA. That’s on average. Fuji and gala have even less. The amount of protein in granny smith apples is highest at 0.73 grams per medium fruit, but that’s obviously still quite low. When you think of cyanide poisoning, perhaps the first example your mind conjures up is a James Bond or other spy thriller, where the bad guy’s drink is laced with powder. 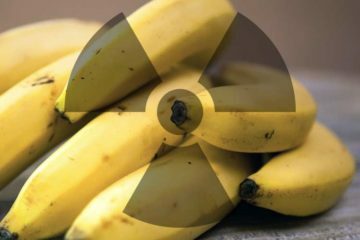 We’re so wrapped up worrying about buying organic fruits and vegetables to avoid pesticide residue, something like natural cyanide in food is never given any thought. Even the organic versions have them, because that poison is not coming from any pesticide or herbicide. Rather the cyanide is naturally created as part of the sugars in these plants. These sugars are called amygdalin, which are molecules made up of cyanide and sugar. The sugar part of the amygdalin is broken off and digested by your body. What’s left creates hydrogen cyanide gas. 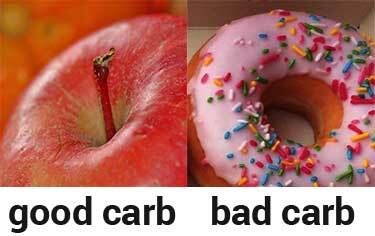 Now that sugar is definitely an example of a bad carb! Yes, believe it. That’s a copy/paste verbatim statement straight from the CDC. 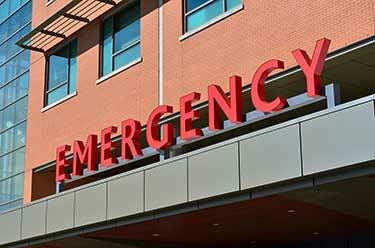 Cyanide poisoning from apple seeds is a very real danger that almost no one is aware of. Growing up, were you told by your parents to never eat the seeds? Maybe but if you were, you probably weren’t told the important reason why and hence, the full weight of the advice wasn’t appreciated. We’ve even heard from people who ate them intentionally because they had thought they were getting a little extra protein from the seeds! How many apple seeds are safe to eat? Ideally, none. Cyanide is toxic and has absolutely no health benefits, only side effects. Accidentally eating one or two seeds won’t produce any side effects, but that does not mean doing so is healthy. Harm can be happening on the cellular level somewhere in the body, but it’s too small for us to detect or experience side effects from. 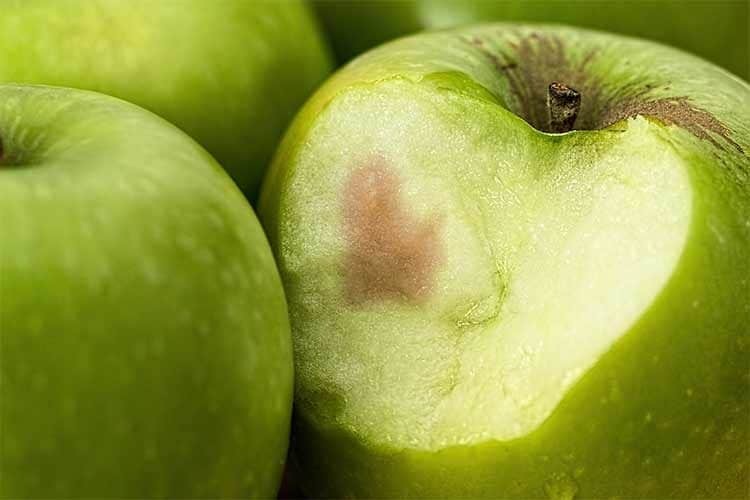 The CDC cited source does not say how many apple seeds it would take to kill you or cause noticeable effects. All they tell us is to avoid them. On another page, the CDC does publish the lethal dose amount for cyanide (acute toxicity data). However, there’s no mention of it in relation to apples or food sources. Since any amount is bad for you, saying it’s “safe” to eat a few seeds wouldn’t be entirely accurate. Rather the better way to say it would be: eating a few seeds accidentally probably won’t cause any detectable side effects, as the amount will be small enough that the body breaks down and metabolizes the poison without noticeable harm being done. In short, it might take dozens or even hundreds of seeds to put us in danger. If you accidentally ate one seed from the pit of your apple, it’s not something to freak out over. Just don’t intentionally eat them because you think they have protein, as some people have been known to do. Does apple juice have cyanide in it? When you eat a fresh fruit, you know exactly what you’re eating and whether or not that includes any seeds. On the other hand with apple juice, you have no clue how it was manufacture. Did they carefully remove the pits and core of the apple beforehand? It would be hard to know for sure. At home or a local cafe, apple cores are removed before juicing. Typically the fruit will be cut by hand before putting it into the juicer. Some high-end machines allow whole fruits to be inserted, but people still typically take out the pits and cores before putting them in. On the other hand, that $3 gallon jug of juice you picked up on the supermarket shelf, that is definitely not being made by hand. Aside from washing the fruit, it’s highly unlikely the apple seeds were taken out beforehand. Instead, bushels get dumped into a juicing machine that is the size of your car. 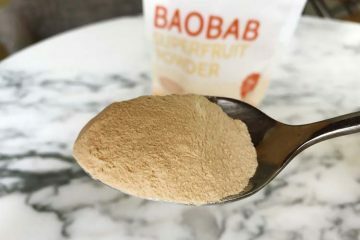 Even though the seeds aren’t removed in juice manufacturing, due to the filtration to take out the pulp, fiber, protein, and other sediment, it’s unlikely any significant amount of cyanide ends up in the final juice product. For that reason, juice is plenty safe to drink and not dangerous. Most likely, 99% of it is filtered out, but no studies have been done to measure this to the best of our knowledge. So you shouldn’t be worrying about there being any cyanide in your typical pulp-free processed juice. But something you maybe should be concerned about is arsenic. 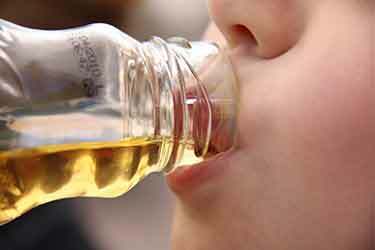 85% of the apple juice we drink in the United States is imported and the majority of that is coming from China (10). 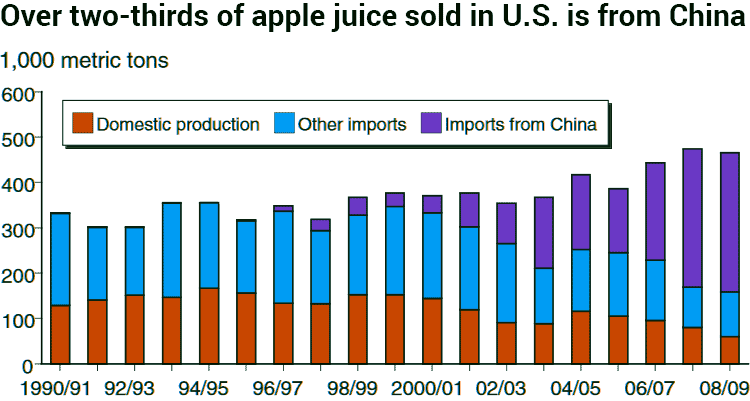 As is the case with many Chinese imports, not surprisingly some of the juice we import from them is problematic. Heavy metal contamination – especially from arsenic – is sometimes detected. Whether or not it’s at dangerous levels is highly debated. Several years ago the Dr. Oz show did an investigative piece on arsenic in apple juice and tested 3 dozen samples from 5 different brands. Of those, reportedly 10 of the samples (about 30% of them) came back with higher arsenic levels than what’s allowed in drinking water (11). According to them, Gerber and Juicy Juice brands had the worst test results, with the highest samples for each measuring out at 36 and 22 parts per billion, respectively. Minute Maid apple juice had the lowest, at 11 parts. Tests for Mott’s and Apple and Eve brands came out in the middle. Thanks in large part to the public awareness from Dr. Oz, nearly two years later the FDA proposed an “action level” for for arsenic in apple juice (12). But that was over 3 years ago and that proposal still sits idle. Apples don’t have protein, so don’t count on them as a source for that. Don’t worry about accidentally eating an apple seed or two because of cyanide (but try to avoid them). If you’re going to worry about anything, arsenic from Chinese apple sauce and juice may be more concerning.